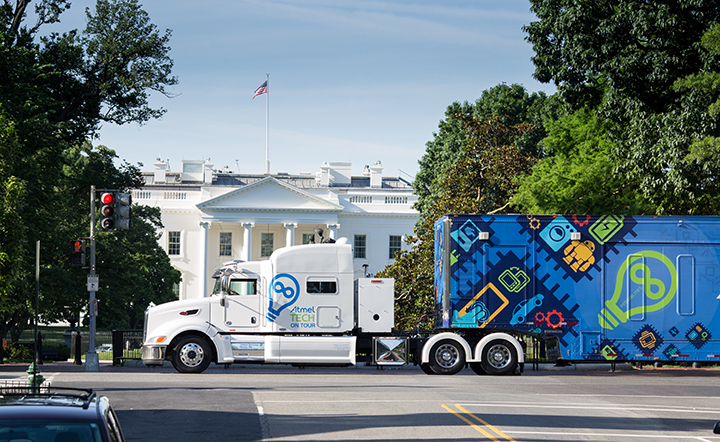 Atmel Tech on Tour Mobile Trailer is Coming to Boulder, CO December 11! Stop by and join Atmel® team for a look at the latest in Atmel's product portfolio. The portfolio includes new technologies and innovations in microcontrollers, touch, sensors, security and wireless. You will also have a chance to speak with an Atmel tech expert to ask your toughest design questions, learn about industry trends, and get advice. We are there to help you. And don’t forget about the “Selfie Contest”. Get all the details when you stop by. Look forward to seeing you on December 11, 2014! Can’t come? Then follow the excitement of @Atmel and #techontour on Twitter and Facebook.